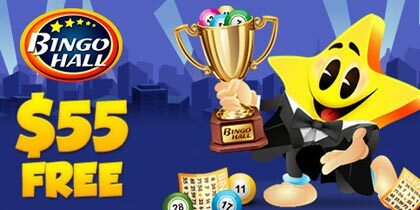 Bingo Sky are going Crazy with our Wild June Bonuses! Every day in June is filled with Fantastic reload bonuses, bigger and better than ever before. No matter how big or how small your deposit, nothing compares to the Wild June bonuses! There’s an incredible bonus on every deposit, every day of the week with no wagering requirements! Deposit High or Low every Monday for a Meadowland Monday bonus on every deposit! 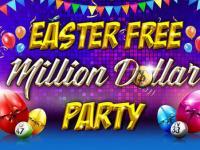 Deposit $100 or more to receive a massive 400% Bonus. 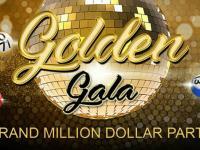 Deposit $99 or less to receive an amazing 200% Bonus. Travel Tuesdays guarantee a fabulous bonus each time you deposit! Deposit between $25 and $49 and get a 99% Bonus. Deposit between $50 and $99 and get a 199% Bonus. Deposit $100 or more to receive a 299% Bonus. Nobody can resist our Wildlife Wednesday bonuses, every time you fund! 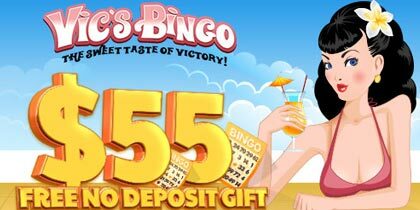 Deposit between $25 and $49 and get a 88% Bonus. Deposit between $50 and $99 and get a 188% Bonus. 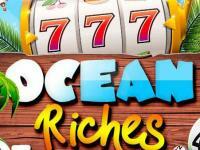 Deposit $100 or more to receive a 288% Bonus. Build up your bonuses to an incredible 500% every Thursday! Start the day with an incredible 100% Bonus and every time you deposit, we will increase your next Bonus by 50%, up to a Wild 500%. 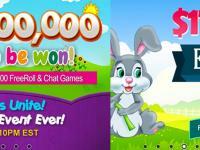 Frolic Friday means incredible bonuses, fund High or Low for a fabulous bonus! 200% for all deposits every Saturday in June! Every deposit, big or small receives a 200% Reload Bonus. That’s triple the money to play every time you deposit on a Saturday! Build up your bonuses to an incredible 500% every Sunday! Start the day with an incredible 100% Bonus and every time you deposit, we will increase your next Bonus by 50%, up to a Crazy 500%. With Fabulous Wild June Bonuses on every single deposit you make, and fantastic cash games and promotions to be won, this month is guaranteed to be extra special at BingoSKY. 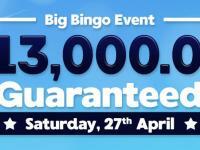 Remember that all reload bonuses at Bingo Sky are free from hidden rules that keep you from your winnings. All of our reload bonuses have absolutely No Wagering Requirements. Unlike many other sites that make you jump through hoops to receive your money, we believe that everything you win should be yours to keep! Don’t forget your Sunday Raffle entries! Every time you fund your account on a Sunday in June, not only will you receive a “Survival Sunday Bonus”, you will also earn free entries to the Sunday Raffle where you could win an incredible iPhone. There is so much more to play for in June!